May 19, 2017 By JRL, Esq. 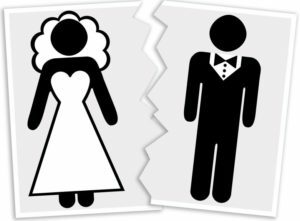 Upon divorce, one thing that needs to be reviewed is one’s estate planning. Typically people want to replace spouses on their powers of attorney for healthcare decisions and financial powers of attorney. Removing them as a beneficiary from a last will and testament is common. But what about irrevocable trusts that were set up years before as part of a more comprehensive estate plan? Since the irrevocable trust can’t be amended or terminated, what can be done? It will depend upon the provisions in the trust and the type of trust. State law may also affect the choices. For example, a trustee may have the ability to terminate the trust or decant the trust assets to a new irrevocable trust with altered provisions. Some states, such as Nevada, allow for a non-judicial settlement agreement (“NJSA”). Under a NJSA, the interested beneficiaries are able to, by written agreement, modify the terms of the irrevocable trust or even terminate it. Some trusts, such as charitable remainder trusts (“CRT”), were set up years ago and carry important tax implications. Essentially, a CRT is an irrevocable trust that is created for the benefit of both a non-charitable beneficiary and a charity. The grantor creates the CRT and retains the right to payments for a period of time. Following the term, any remaining property would then pass to a charity. These trusts are normally created as part of a larger estate planning picture. The grantor receives an income tax deduction for the value of the remainder interest that will pass to the charity. What should happen to a CRT if a husband and wife create the trust and are the income beneficiaries? Often the couple will want to divide the CRT into two CRTs, each of which can continue for the benefit one of the spouses. But what are the tax implications? Fortunately, the IRS issued private letter ruling 201648007 last year. This PLR allowed for the CRT in question to be divided into two separate trusts upon the grantors’ divorce. So now, if your marriage splits, your charitable trusts can too!